Thanks to all those who came along to the Queen’s Head Hotel on Saturday night to party to the Fab sound of the Breed. You were a fantastic audience. We return for another night of retro goodness on Saturday 22nd February 2014, and this time we’ll even have a stage to play on! As it says in the Entertainment section of Saturday’s Mercury – The Breed are at The Queen’s Head Hotel tonight (Saturday 18th January). Don’t miss out on your fill of retro goodness! 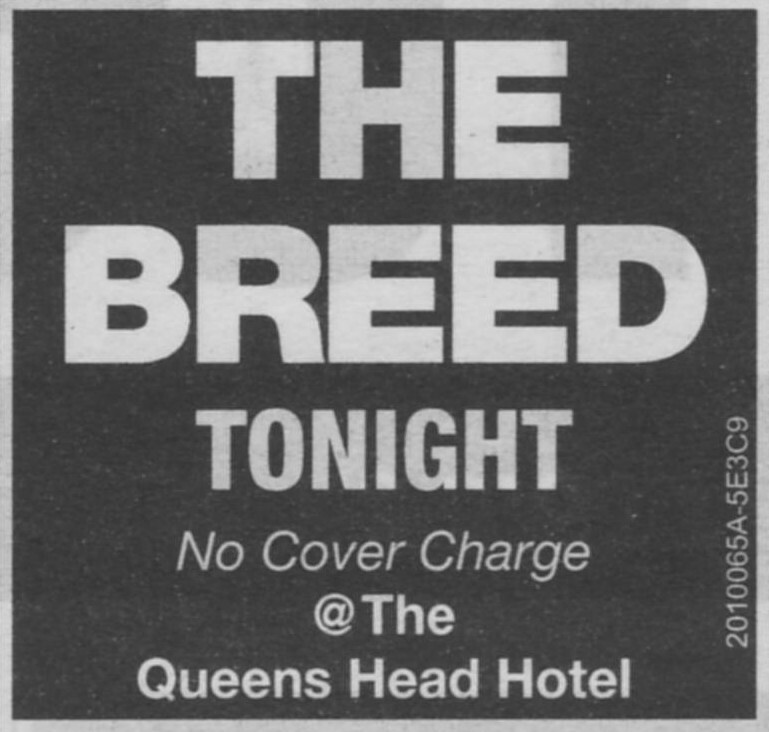 The Breed are playing at the newly renovated Queen’s Head Hotel. It seems that North Hobart just can’t get enough of the Breed, so come along for a fab. far-out and groovy time, when the Breed bring their unique blend of 60s pop/rock to the Queen’s Head Hotel on Saturday 18th January 2014. A big thanks to everyone who came to The Winston on Friday night. A great time was had by all. 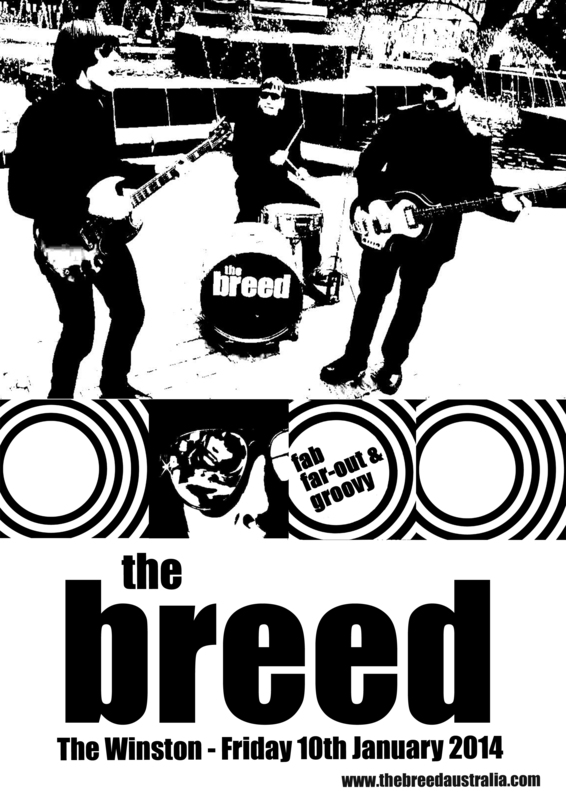 The Breed will be back at the Winston on Friday the 14th February 2014. For those who missed out this time, here’s a couple of pictures of the Breed in action on the night. 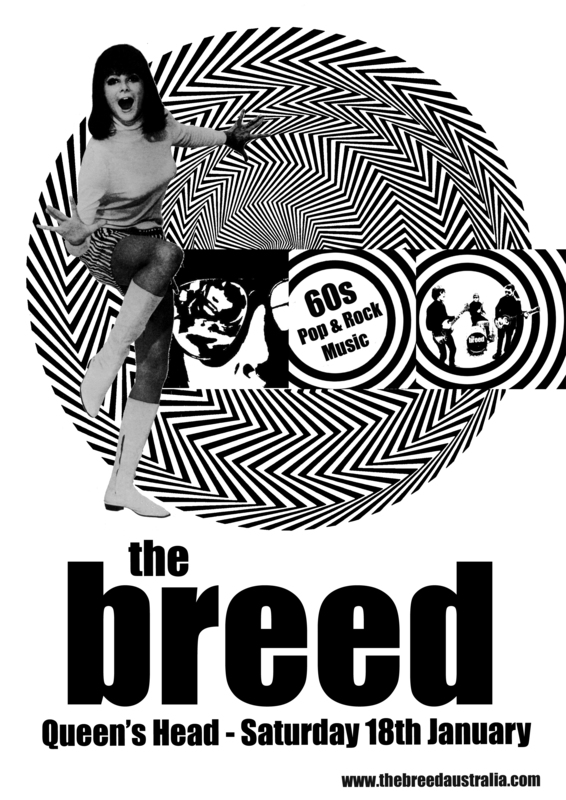 The Breed return to bring their unique blend of 60s punk, mersey-beat, mod, and power-pop tonight from 10.00pm at the Winston (Friday 10th January 2014). 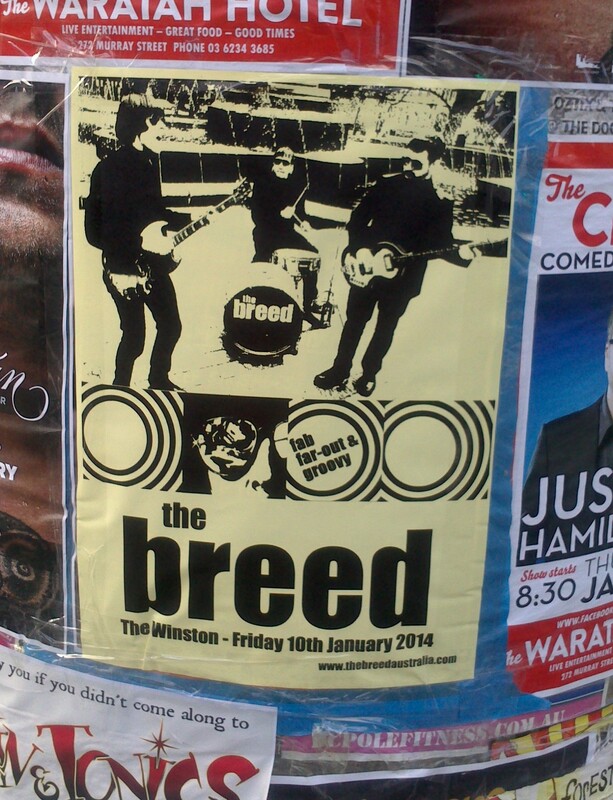 The Breed are back at the Winston for their first gig for 2014. They bring their unique blend of 60s punk, mersey-beat, mod, and power-pop to the Winston on Friday 10th January 2014. You are currently browsing the The Breed blog archives for January, 2014.